*- since the series is over, it's obviously been seen now. From the hit TV series, it's Kim Possible, just your average teenage girl out to save the world. She foils sinsiter plots around the globe with her sidekick Ron Stoppable and still makes it home in time for dinner. It's big fun as Kim takes on some seriously wacko bad guys in this way cool series of adventures. 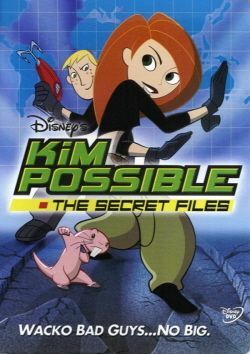 Here's the sitch: Rufus, Ron's pet naked mole rat, goes 3D and takes control of the Kimmunicator to guide you through three awesome Kim Possible missions, including a never-before-seen episode. * This is the only place to catch all the thrills as the evil Dr. Drakken finds love for the villainous DNAmy in order to take advantage of her mutation skills. It's cool. It's hot. It's SO not the drama!